The last formal destination of my trip with my grandparents to California this summer was Torrey Pines State Nature Reserve near San Diego. 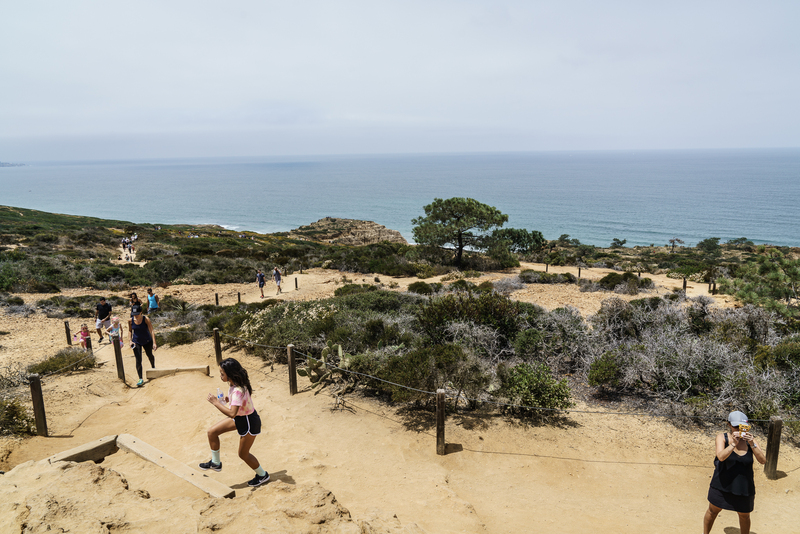 California's geographic diversity once again impressed me; this time around, I hiked on trails of brilliant orange sand, through groves of chaparral, sage, and the eponymous torrey pines, with the blue Pacific Ocean as an ever-present backdrop. I was glad to spend more time by the sea before I had to fly back home to DC. This was the Independence Day holiday weekend, so lots of other people were hiking the trails as well. It was like Disney World. 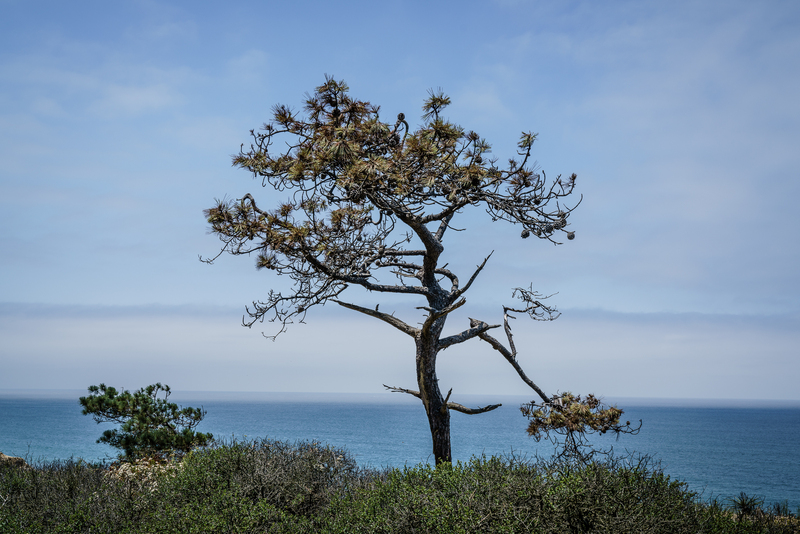 One wouldn't know that from the tranquil composition here, of a single torrey pine before the ocean. Before trekking through this nature reserve, I would not have envisioned something like the torrey pine when thinking of conifers. 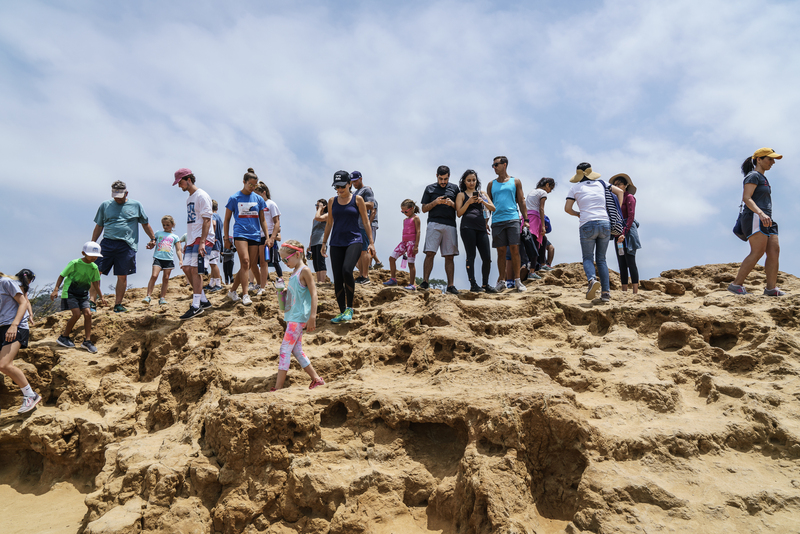 The primary reason is that torrey pines are endangered, appearing only in the Torrey Pines State Nature Reserve and one of the Channel Islands, according to Wikipedia. So along with sequoias and redwoods, the torrey pines were another special tree I got to see this trip. Looking out from Red Butte. I like the teddy bear case of the woman in the bottom right corner!